A closer look at my makeup from today! Just decided to go with a classic gold, soft brown smokey eye with an extended wing liner and a smokey bottom lash. Love this look on everyone! I paired it with baby pink lips, and soft matte cheeks. Eyeshadows: Gold/green eyeshadow from Sleek. And if you're wondering how I did my hair, I simply curled it with a 1 inch curling wand (in various directions, taking about an inch of hair each time), and pined back one side with a bobby pin! :) Click here to watch a video where I show you how I curl my hair in a similar way. Ok now I want the perfume. They sell it in the supermarket near me. cand faci un video cu machiaj? One of my favorite perfume too !! And i'll go to Lidl to see the other one :) thanks for sharing! you are absolutely lovely on this video! * If you could make a video on confidence, self-esteem , I'll be grateful, you are a great model Annie! Have a Nice day. i need a few bottles i live in the us and sadly we dont have this perfume! email me tgramirez03@yahoo.com thanks! coco mademoiselle is classic. it´s definitely my favourite perfume! You look GORGEOUS ! I love your hair ! They grown so fast since you cut it, just look when you cut your hair and it was one month ago lol. Nice blo here Annie, love your posts! This is such a unique find! Great to see so many videos from you! New follower right here! 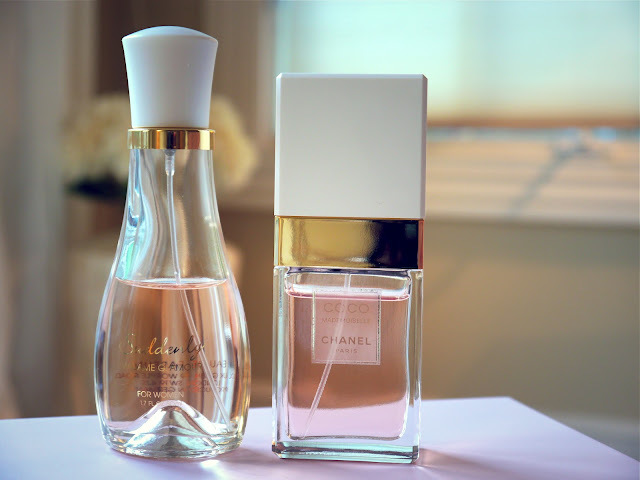 I love that you have a dupe for the chanel perfume. Is this available online? Hi Annie! You're looking gorgeous as always! Hi Annie, I'm from Barcelona, and also find the perfume at Lild!! I've buy for 3,99€... it smells so good. Hi Annie! love your look. can you make a video for this look? 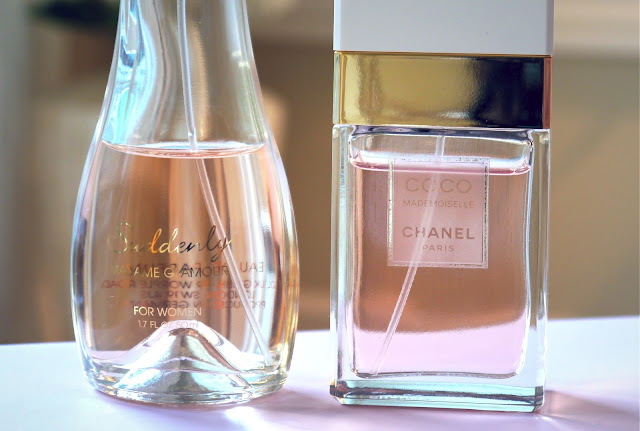 I’m guess now you have changed life style, you probably don’t wear perfume like these anymore but I had to tell you anyway: 2 ½ year after this blog post and video, I found out that this dupe perfume is actually sold in my local supermarket. I’ve never realized before. I was not looking for it but still, I was glad to find it. When I saw the bottle at only €3.49, I was like “hum, it’s smells familiar”. And then this blog post came back to me. I can’t believe it’s been more than 2 years! You were living in New-York at the time. And now, look at you, living in Chiang Mai and looking so truly happy all the time. I am so so so glad for you. Even though I’m not following the same diet as yours, you keep inspiring me. Every time I make a small step towards more natural products, I always think about you. I’ve been in Chiang Mai on holiday two years ago and it was amazing. I loved the city, the river around it, the locals, the fruits, etc. I didn’t like Phuket, I found it so “fake”. I’m thankful I had the opportunity to visit this place but I won’t go back there for sure. But Chiang Mai, Oh, I’d love to go back!!! I’m wishing you the best Annie.